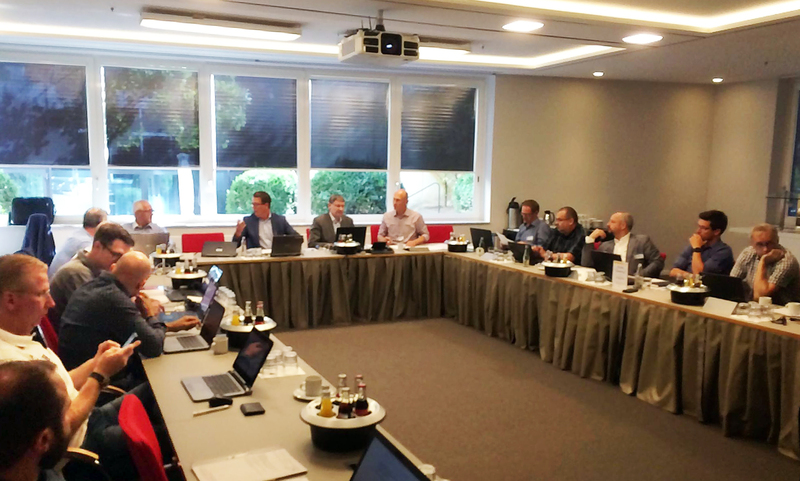 The summer break is drawing to a close – an opportunity for the EPLF Technical Committee to set the course for new research projects. Under the chairmanship of recently-elected Eberhard Herrmann (Classen) and with topics driven by Jasper de Jaeger (Unilin) and Dr Rico Emmler (IHD Dresden), a group of 20 EPLF specialists from six countries met for discussions on 22 August 2018 at the DIN Institute in Berlin. The outcome is an extensive upcoming research programme. The increasing popularity of moisture-resistant laminate floors for kitchens, bathrooms and utility rooms has made it necessary to create a system of classification for moisture resistance. The wide choice in the degree of gloss for these easy-to-maintain laminate floors, catering for different tastes, requires a greater technical understanding of how micro-scratches appear and how the polishing effect occurs on matt surfaces. The members of the Technical Committee have agreed to run individual tests and the results from these will be summarised over the coming months.